Sony announced a new PS Vita title at their press conference today named Escape Plan. 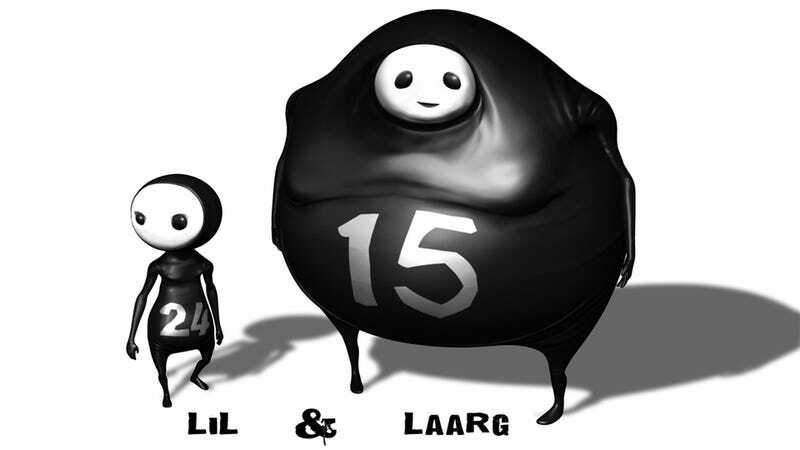 The player controls Lil and Laarg, two leather-suited characters who look like extras from Tim Burton's The Nightmare Before Christmas. The goal of the game is to escape from a black-and-white world, but there are plenty of traps to rip apart our heros and foil their attempts. Escape Plan's art style is a mix of cute and twisted, and it looks like it'll be just as fun watching the characters die as it will seeing them succeed—tquish, slice, or electrocute the pair, it doesn't matter. This game's style already has me very interested.